WAGNER Die Walküre: Act I • Bruno Walter, cond; Lauritz Melchior (Siegmund); Lotte Lehmann (Sieglinde); Emanuel List (Hunding); Vienna PO • PRISTINE AUDIO PACO 024 (monaural: 61:58) There are a few recordings that almost all serious collectors, listeners, and critics would probably agree belong in a “classical hall of fame,” and this is one of them. In Pristine Audio’s restoration it sounds better than it ever has. The performance needs little commentary; it has been written about since its initial release back in 1935. Each individual element—soprano, tenor, bass, conductor, orchestra—is sensational. Together, they make for a remarkable whole. Walter’s impassioned, dramatic conducting and the orchestra’s playing with total commitment are certainly central to the impact of the performance. But no less important are the individual performances of the three singers. Because Lauritz Melchior was able to soar over the Wagnerian orchestra, and because he occasionally had rhythmic problems, it is easy to mis-characterize him as a trumpet-like Heldentenor with resonance where others have brains. But that is emphatically not the case, as his many recorded performances prove. In this case, he sings with sensitivity, astonishing variety of color and dynamic shading, and utter conviction and passion. It is impossible for me to imagine a finer Siegmund. The same can be said of Lotte Lehmann’s Sieglinde, as she digs into the part and creates a complete character while pouring out glorious tone. I had forgotten how solid and menacing Emanuel List’s Hunding was, an extremely powerful performance. The sweep of the whole is something we rarely get on any recording, and how they managed it at a time when long works were recorded in four-minute segments is beyond belief. This recording sometimes appears on “essential” and “desert island” lists and, while I think some tenors come within belting distance of Melchior and I like some Sieglindes just as much as I admire Lehmann, and even prefer some of the recorded Hundings to Emanuel List, I will concede that it may, nevertheless, deserve its apparent consensus status as the best recording of this music. Certainly, Bruno Walter’s impassioned, powerful conducting has a lot to do with the performance’s effect. He was actually supposed to conduct a complete recording of the opera and “therein,” as the saying goes, “lies a tale.” The notion of recording the first complete Die Walküre was hatched at EMI sometime in the early 1930s. It was to be done in Berlin with Bruno Walter presiding over some of the outstanding Wagner singers of the day. By the time they got around to making the arrangements in 1935, the Nazi regime had made Walter persona non grata, so the recording site was shifted to Vienna. Along with the first act, both of the act II scenes involving Melchior and Lehmann and the one that includes List were also recorded. Since the Hunding appearance in the closing scene of the act also requires a Wotan and Brünnhilde, Alfred Jerger, not one of nature’s Wotans, and Ella Flesch made brief appearances. By the time EMI was ready for act II in 1938, the German takeover of Austria meant that Walter was unavailable in Vienna, so the recording scene shifted back to Berlin and a new conductor, Bruno Seidler-Winkler. Melchior was on hand for the “Todesverkundigung,” and he was joined by Marta Fuchs (Brünnhilde), Margarete Klose (Fricka), and Hans Hotter (Wotan). A slightly edited version of act II, with a few cuts, was recorded. The scenes that had already been recorded under Walter were slipped into the performance later on, how smoothly, I don’t know, since I never heard the 78s. I might point out that, when this act was put on CD, an additional cut was made by EMI so that it would fit on a single disc. The onset of World War II interrupted the project. In 1945, American Columbia finished the job when Helen Traubel, Herbert Janssen, and Artur Rodzinski recorded the third act. Thus, in 1946, you could purchase a nearly complete Die Walküre on 26 breakable shellac 78s, recorded by two companies, in three cities, on two continents, with three conductors, three orchestras (the Vienna and New York Philharmonics and the Berlin State Opera Orchestra), three Wotans, three Brünnhildes, and two Sieglindes (Irene Jessner, doubling as Ortlinde, was the other). WAGNER Die Walküre: Act II • Fritz Reiner, cond; Kirsten Flagstad (Brünnhilde); Lotte Lehmann (Sieglinde); Lauritz Meichior (Siegmund); Friedrich Schorr (Wotan); Kathryn Meisle (Fricka); Emanuel List (Hunding); San Francisco Op O • MUSIC & ARTS CD-1048, mono (67:14) This is a justly famous performance. It took place in San Francisco on November 13, 1936, and is said to document the only time that Flagstad and Lehmann, who evidently did not get on well, ever appeared on the same stage. [They actually appeared together a total of three times.] It has a couple of whopping cuts, but it also has some magnificent singing, and every Wagner collector should have a recording of it. But perhaps not this particular recording. The big problem with the performance is that Marcia Davenport, a now forgotten novelist and woman-about-town in the New York of the 1930s and 1940s, was allowed to intrude with a closing announcement before the music came to an end. Just as Wotan is singing “Geh hin, Knecht!” we have Marcia telling the radio audience that “The curtain is now coming down, very slowly,” etc. Of course the curtain was doing no such thing: There was about a minute and a half of music to go, and, anyway, Wagner directed that the curtain fall quickly on this act. This new disc, alas, has Marcia firmly in place; but there is another issue, Legato Classics LCD-133-1, on which another performance by Schorr, roughly contemporaneous, is dubbed in—no Marcia! So I would recommend that you get the Legato disc, which I reviewed in Fanfare 12:5. Also, and surprisingly, the sound on the Legato disc is better: the Music & Arts disc is, to my ears, rather shrill. WAGNER Die Walküre: Acts I;1 Act II2 • Bruno Walter, cond;1, 2 Bruno Seidler-Winkler, cond;2 Lotte Lehmann (Sieglinde); Marta Fuchs (Brünnhilde); Margarete Klose (Fricka); Lauritz Melchior (Siegmund); Hans Hotter (Wotan); Emanuel List (Hunding); Ella Flesch (Brünnhilde); Alfred Jerger (Wotan); Vienna PO & Berlin State Op O • NAXOS 110250 – 51 (2 CDs: 140:01) Before electrical recording was developed in 1925, most of the records of Wagner’s music were of brief vocal selections. For, while voices recorded quite well, there was no hope of capturing the breadth and complexity of the Wagner orchestra. Even after the advent of electrical recording, Wagner’s major works seemed far too long and too difficult to be fitted onto 12 – inch 78 – rpm discs, each side of which could hold only about 4 or 4.5 minutes of music. Yet, in 1926, HMV set about recording extended excerpts from the most challenging Wagner work of all, the Ring cycle, using the best available singers and conductors, and the London Symphony and Berlin State Opera Orchestras. By the time the project was completed in 1932, the whole set, which today is available on seven compact discs (Pearl GEMM CDS 9137), consisted of 122 78 – rpm sides. But the Nazis had seized power in Germany on January 30, 1933, and Jewish artists were unwelcome in Berlin. Thus, the site of the recording was changed to Vienna, so that Bruno Walter could conduct, as planned, and Emanuel List could sing the part of Hunding. 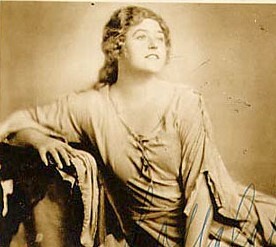 Schorr, who was also Jewish, had left Bayreuth in 1931 and Covent Garden in 1933, and settled in the United States. During the 1930s he often appeared at New York’s Metropolitan Opera, as well as gracing the stages of Paris, Buenos Aires, and San Francisco. He retired to a successful teaching career in 1943, and 10 years later, died in Connecticut. Though the plan had been to record the whole of Die Walküre at Vienna, actually only act I and scenes 3 and 5 of act II—which, like act I, involve both Siegmund and Sieglinde—were recorded at the Vienna sessions on June 20 – 22, 1935. The rest of the recording took place at Berlin in 1938. Scenes 4 (Siegmund and Brünnhilde) and 1 (Wotan, Brünnhilde, Fricka) were recorded on September 19 and 20, respectively; scene 2 (Brünnhilde and Wotan), in November. 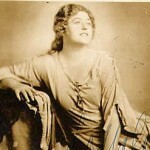 Since Fuchs and Hotter, who were to take the roles of Brünnhilde and Wotan in Berlin, were not present at the Vienna sessions, those parts were taken in act II, scene 5, by Flesch and Jerger. The act I recording is often singled out as the greatest of all Wagner recordings. Lehmann and Melchior, though firmly established in their careers, were both still gloriously in their primes. The playing of the Vienna Philharmonic was superb, and Walter’s conducting was free of his often-annoying mannerisms. List was a strong and menacing, yet thoroughly uncaricatured, Hunding. The thing to listen for is the slow yet steady growth of the love between Siegmund and Sieglinde. Throughout the 70 or so minutes of act I, every word is given precisely the inflection that clearly and naturally places its meaning within the dramatic growth of the relation between the two lovers. Listening recently to the familiar music, I began to take notes, writing down each word of the text that seemed important. Though I have known (and loved) the recording of act I for 60 years, I found myself growing increasingly excited and moved—then I noticed that I had been scribbling virtually every important word of Wagner’s text! Here I can give only a few examples. Siegmund stumbles into Hunding’s and Sieglinde’s house dead tired, his fatigue captured by the orchestra’s cross rhythms. Declaring that he must rest, no matter whose house this is, he throws himself down on the hearth. Sieglinde enters. She surmises that he is tired out from a journey, and wonders if he is sick—giving the word (“siech”) a plaintive tone that suggests an interest in him and his plight. As the strings play yearning phrases, she decides that he is not sick but just tired: “Mutig dünkt mich der Mann” (The man seems to me strong/courageous). The difference between “siech,” which ends a question, and “Mutig,” which is set by an assertive, falling perfect fifth, says volumes. A little later, Siegmund mentions that he is wounded, and hence will not be a welcome guest. Sieglinde quickly blurts out: “Die Wunden weise mir schnell!” (Quickly show me your wounds!) Her concern is obvious to Siegmund, and he meets it with manly nonchalance: “Gering sind sie, der Rede nicht werth” (They are slight, not worth talking about). From “ewige Ende” (p. 245) to “Kunde empfing” (p. 246); From “verloren” (pp. 252 – 3) to “Nur einer” (p. 255); From “Wunsch (p. 257) to “trauteste mir?” (p. 258); From “nur” (p. 262) to “Ihrem Willen” (p. 264); From “Und für das Ende” (p. 273) to Sehr breit (p. 278). Lehmann and Melchior are just as fine here as in act I. Hotter, though only twenty-nine, has the sympathy, intelligence, and control of his beautiful voice that would make him Schorr’s successor, the finest Wotan and Sachs of our time. Fuchs is competent but rather pedestrian—how one longs for Leider or Flagstad!—but Klose is one of the great Frickas. Seidler-Winkler is fully Walter’s match. Incidentally, act III of Die Walküre did finally get recorded in 1945, giving us at last our first (almost) complete recording of a Wagner music drama. One more thing before I close. In 1940, when Lehmann and Melchior were still singing very well indeed, the Met gave two performances of Die Walküre that were broadcast. 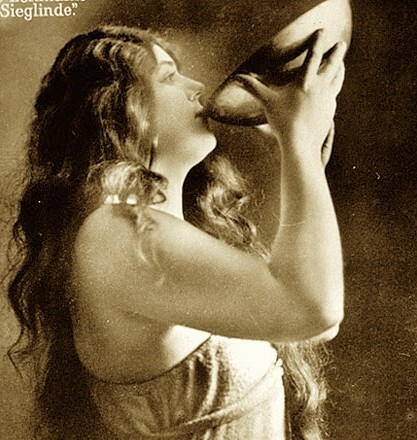 The performance of February 17 starred Kirsten Flagstad as Brünnhilde, Marjorie Lawrence as Sieglinde, and Melchior as Siegmund, while the performance of March 30, when the company was in Boston on tour, had Lawrence as Brünnhilde, with Lehmann and Melchior as Sieglinde and Siegmund. Both performances were conducted by Erich Leinsdorf. List sang Hunding both times, while the earlier performance had Julius Huehn as Wotan and Karin Branzell as Fricka, and the later one had Schorr as Wotan and Kerstin Thorborg as Fricka. Some years ago, it occurred to a brilliant sound engineer named Richard Caniell, whose specialty is the restoration of old records, that these two performances could be combined to produce the Walküre of one’s dreams, in which the cast would include Flagstad, Lehmann, Branzell, Melchior, and Schorr. The job has now been done, and the three-CD set is available as Guild GHCD 2215/7. Other “golden age” Wagner sets are also listed on the Guild Web site: http://guildmusic.com. Full disclosure time: for a pleasant year and a half, I provided Caniell with album notes for a number of old Toscanini broadcasts. But I never worked on the Wagner project, and I had heard (and admired) a tape of the amalgamated Walküre long before I had worked with or even spoken to Caniell. …Never before in the history of the Metropolitan Opera House has there been such a scene as that at the close of the first act of Die Walküre last night….The instant the curtain fell the applause rang out spontaneously; then when Lotte Lehmann came before the footlights it rose in volume, and as her confreres left her alone—something rare on the first curtain call—the whole audience broke into cheering which lasted a full ten minutes. “Siegmund, drawing Sieglinde down upon the bear-skins beside the hearth, sings the lovely and ever-new song of spring. Sieglinde lies half leaning against him. From the fervent embrace which ends the song she raises herself, looking up at him with delight. She tells him how she has always longed for him. Everything around her has always seemed strange to her. But he is deeply close to her; he is no stranger, he is like a part of herself. Embracing him, pressing herself against him, she discovers in his face the “sacred light, which falls from his eyes and face and stirs her senses so sweetly.” As if overcome with passion she half sinks against him—he draws her to him, looking into her face, enchanted. Her hands encircle his brow, she smooths back his hair with a tenderly questioning gesture—she wants to absorb the wonder of this face as closely as possible. The wonder! For is it not a wonder? Like distant, half-forgotten memories, images return to her out of the buried past. Hasn’t she seen him before? When? Where? She has seen this face before. And when he says that it may have been a dream, a dream of love in which he has seen her and she him, she denies it, looking into the distance with absorbed concentration. No, it was not a dream. It was reality…. And now as she remembers, her eyes are lowered as if she sees before her the running brook whose waters had mirrored her face: and it was his face! It is the same face, hers and his—they are one…. Siegmund remains absorbed in the lovely dream in which he has sensed her presence: “You are the image which is concealed in my heart.” But with a sudden movement she seems to want to hold fast the sound of his voice—her whole being drinks in his words. Yes, as a child—didn’t she know this voice as a child? Or is she confused—does the echo of her own voice resounding from the forest blend with the sound of his? Memory becomes more vivid—she presses against him, peers feverishly into his eyes…. These eyes—didn’t the same flame glow from the eye of the father, of the God who came to her in her saddest hour and plunged into the tree trunk the sword which will now free her?… And a name comes to her—didn’t the strange old man mention a name? Was it only an inner voice which whispered the name he bore, the name which she will perhaps hear from the mouth of this stranger, who is her own, strange and yet a part of her as nothing else on earth? Turning violently to him she asks with trembling voice: “Is Wehwalt your true name?” But he, completely hers, wants only to bear the name which she will give him—what is a name if it does not come as a gift from her hands? Sieglinde wants to know. The name of your father—tell the name of your father. Was it really Wolfe? Siegmund remembers: Wolfe he was called by his enemies—yet his name was Wälse…. With one bound Siegmund has leaped upon the table and gripped the hilt of the sword. The hour of greatest need has come—the promised sword seems to tremble under his touch. With great strength he tears the sword from the trunk, the sword to which he gives the name ‘Nothung’—which means: found in need. Sieglinde has watched Siegmund with breathless excitement—her bearing is one of concentrated passion, of glowing expectation. Bending forward, she sinks slowly to her knees. This is a gesture which until now was foreign to her: she has never knelt down before. It is as if the primeval woman kneels for the first time, driven to her knees by the superior power of her passionate belief. Now she springs up, utters a cry, and as if in an ecstatic dance reels across the stage. Her arms are outstretched, her whole body vibrates in the triumph of her victory. She sinks to the ground beside the table, her flaming eyes fixed upon Siegmund. Siegmund has but one thought: he will take the sword and with Sieglinde will leave the house of her ignominy. Not another second shall she remain here—out into the forest, out into freedom, into the fresh stormy spring! And tomorrow he will fight and win, and will make Sieglinde whom he has won through love his forever. Sieglinde throws herself into Siegmund’s arms as, leaping down from the table, he clasps her to him in blissful oblivion, swinging the sword above her. Reeling, torn between laughter and tears, she calls to him: “Are you Siegmund whom I see here—I am Sieglinde who longs for you—your own sister have you won with the sword…” Doesn’t he realize that it is his twin sister, whom he believed lost, whom he holds in his arms, the sister with whom he shared his first years of life, whom he had thought dead? His sister? And both united by love? What is the law of blood to them? The law of mankind? Wotan’s wild blood flows in their veins, the blood of the father who detests the law, who knows no bounds, his blood rages in their untrammeled hearts. What do brother and sister mean? You Sieglinde, I Siegmund—and outside rage the tempests of spring. Out into freedom! Away from the narrow confines of human habitation with its rigid laws? Wotan’s children are united. Here, from My Many Lives, is Lotte Lehmann’s interpretation of a key moment in Act III of Die Walküre. Sieglinde has just been told that she bears Siegmund’s son in her womb. Brünnhilde hands her the broken pieces of Siegmund’s sword and tells Sieglinde that the child she is destined to bear will become a great hero. Glass writes: “Lotte’s fourth Metropolitan season started with a Sieglinde on January 16, 1937, a Saturday matinee broadcast. It was only the second time in New York for the role of her successful debut, three years before. The New York Times had this to say about her performance: Perhaps the most magical of Wagner’s women is Sieglinde. She is not the greatest, but she haunts us the longest. Like the Iphigenia of Euripides, she is passionate and tender, simple and complex, piteous and wise, strong and weak, heroic and shrinking; and her purity is as elemental as her passion…No singing-actress of our time, I think, has achieved a more telling and veracious Sieglinde than Lotte Lehmann…It gives us the essence of the character, this remarkable and deeply touching embodiment of Mme. Lehmann’s…In certain moments of exceptional exactness and felicity of suggestion, she colors her voice and shapes her gestures with something of the primitive magic and strangeness and wonder of those who were daughters of earth in old, far-off, forgotten times…It was one of the signals of Mme. Lehmann’s achievement yesterday that she was most piercing and most memorable when the music was. Wagner…speaks of the agonizing utterances of sorrow that this score contains—“I have had to pay for the expression of these sorrows,” he remarks parenthetically. Mme. Lehmann’s delivery of Sieglinde’s music in her frenzied scene with Siegmund in the Second Act made us realize with peculiar vividness what Wagner must have meant. In such measures as…“Wo bist du, Siegmund?” she charged the music with an almost insupportable intensity of tragic woe. Du bist der Lenz (You are Spring) is one of the few arias in Die Walküre and as such many sopranos sing it, even on recital programs. The story is too long to give even a general idea, so follow the words and they will tell you enough for this aria’s meaning. Als hätt’ ich nie es gekannt, war, was immer mir kam. in the frosty winter season. when your first glance set me on fire. that was everything that came my way. I first saw my friend. Der Männer Sippe, Sieglinde’s aria from Die Walküre (and what Siegmund sings thereafter). traf die Männer sein mächtiges Dräu’n. der aus dem Stamm’ es zög’. käm’ er aus Fremden zur ärmsten Frau. süßeste Rache sühnte dann alles! robbers had given as wife. who pulled it out of the tree. failed to win the weapon. he set the sword in the tree. to the most miserable woman. would atone for it all! the sword and woman will be his! that makes you my noble wife. [makes] the happy ones laugh!